Education is one of the fundamental rights of every Indian citizen, and the building block of a prosperous future. Yet, millions of children are deprived of this right because of lack of adequate infrastructure. Faster access to the Internet can help bridge the digital divide between rural and urban communities. 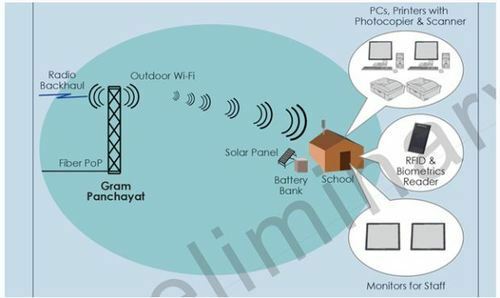 VNL’s Rural Broadband Solution is a totally solar powered and standalone wireless broadband solution that can be deployed to provides seamless Wi-Fi coverage anywhere. Our systems are currently deployed in India, Nepal, Myanmar, Indonesia, Bolivia, Bhutan, Kenya, Uganda & Ghana, and have empowered the lives of people living in rural and remote areas in these countries.